Mr. Roger Ouellette, President of the Community Radio Fund of Canada (CRFC) and Ms. Ana Rose Carrico, Station Manager at CiTR, the campus radio station of the University of British Columbia, are pleased to announce that $49,975 will go towards the implementation of the project “Flagship programming: Introducing CiTR Podcasts!”. This is the 13th time in 10 years that the CRFC provides financial support to CiTR under various programs, bringing the total awarded to $313,636. The funds for this project were made available by the CRFC under their Radiometres program, a funding program aimed to improve local programming and volunteer participation. With the funds received, the station will create and launch three podcasts. 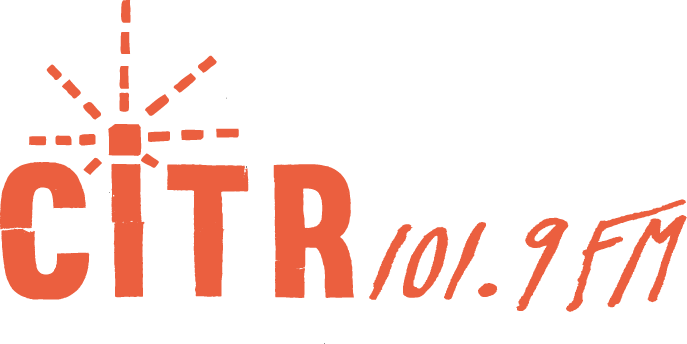 The first one will cover content from CiTR’s collectives, and other departments within the station, while adding an editorial and reporting on events at the station and in Discorder Magazine, CiTR’s locally focused print publication. The podcast will also engage the broader campus community and Vancouver community by covering local people, stories, news and events. Each episode of the second podcast will feature a panel of three guests of diverse backgrounds discussing a topic of relevance to the local arts, current affairs, or the UBC community. These discussions will take place in the studio at CiTR and will be broadcast live, and later edited and released as a podcast series. Each episode of the third podcast will feature a recording of a live band performance at CiTR, followed by an interview with the band and a discussion of topics of interest to the local music community. Since its inception in 2012, the Radiometres program enabled a total investment of more than $12 million in the campus and community radio sector. It is an impressive number of 360 funded projects that have been approved. “I’m happy to add this project proposed by CiTR to the growing list of funded initiatives. I have no doubt as to the significant, positive, impact that this project will have on the station but most importantly on their community,” says the CRFC President, Roger Ouellette.